I’m becoming quite a fan of Pixel’s after-market accessories. 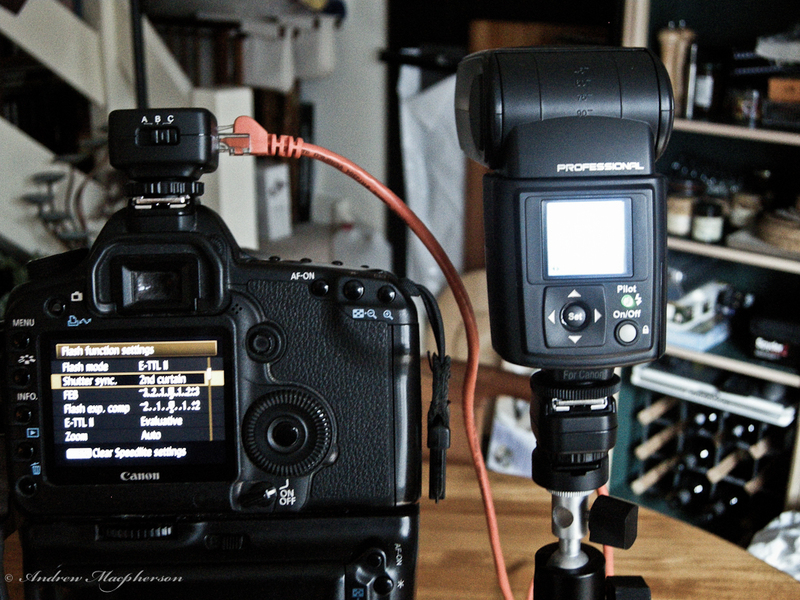 Today I’ld like to tell you about the PF-801 hotshoe extender (1xVM-801 and 1xVS-801). 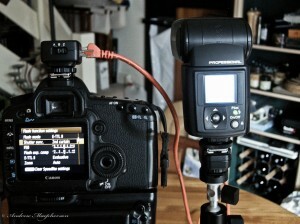 The VM-801 camera end sits in the hotshoe, and has 3 RJ-45 ports. RJ-45 is the standard cable for connecting up computer networks, available in many pre-formed lengths, or those with the tools can make up whatever length they need. For this application one wants “straight” network cables as opposed to cross-overs. The 3 ports are labeled A, B & C— these labels have nothing to do with the Canon Wireless Flash groups, but simply give you a reference as to which port is which, and relates to the rear switch. On my unit the first thing I did was get out a continuity tester to check what was going on. The central spot on all the remotes is connected through to the hotshoe, via a switch for each port, which acts to enable or isolate the corresponding flash. The rear switch directs the other 4 hotshoe contacts through either the A or C ports, thus allowing the flash on that port to be controlled by the camera, when set to B I get a screen saying the flash is incompatible with the Camera. Effectively we have 3 ports that we can trigger simultaneously. Port A can be used to provide full featured extension of the Hot shoe, including driving a Flash in “Master” mode to control wireless remotes over Infra Red and use full E-TTL functionality, you can also use it in High-Speed Sync mode. Port B is simply a trigger, such as you might use an optical slave for. Port C has the same functionality as port A, but one can only use one of the 2 at a time in full camera controlled mode, and the other port will just act as a trigger. 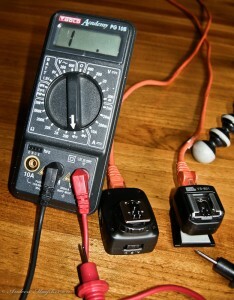 An alternative way of working is to switch between the A&C ports to adjust the power setting of the flashes in manual mode without needing to leave the camera position and have a very short cable and Skyport radio transmitter letting one mix Speedlights and Studio Strobes attached through port B. This kit came in under £40, to which one has to add a few RJ-45 cables, which I had to hand anyway.